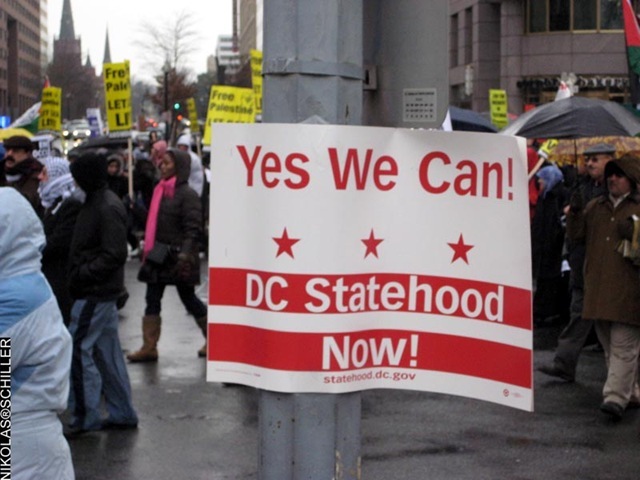 Statehood | All that talk about studios and basements and coffee? Yeah, I know, it's like a skipping record. But now it's done, and being made as we speak. 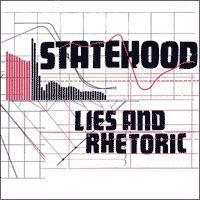 On October 29th, we'll be releasing "Lies and Rhetoric" on Statehood Records. You like that label name? Yeah, us too. Speaking of which, that vote last week was a bunch of crap, but what do you expect from Congress? More citizens than Wyoming and just barely less than Vermont. One person, one vote? I digress. There are some songs for streaming on our sites now, and on the release date look for CDs in stores, mail order, and through any major download site you can think of. We'll have links on both sites in case you need help finding one. We're doing shows this fall as well. Finalizing a CD release show for early November in DC, with some shows in Boston (with Travis Morrison/Hellfighters) and Philly (w/Enon and Love of Diagrams) confirmed. We'll probably play some more east coast shows before the year's out, too. Watch this space. Some info about the record? We recorded part of it at Skree Studios in DC, and part at Inner Ear, both with Jason Caddell (our old bandmate, not that he's old, but...). Eleven tracks, sounds big and caffeinated, digipak. What else can I say? Give it a listen yourself, see what you think.